Summer is fast approaching! Every volleyball player is looking to keep skills sharp for the following season. Whether it's your school program or next season's club tryouts. Santa Monica Volleyball Club will once again host our Summer Skills program. Led by Peter Luong, USAVolleyball High Performance coach! Coach Luong will cover all facets of the game. From attacking to defense, you'll have the opportunity to grow and develop in the game. Find out more or how to enroll by contacting us at Santa Monica Volleyball Club! Looking to keep your skills sharp but don't have the time to commit to playing club for 2019? If so, Santa Monica Volleyball Club might have a program for you. There are opportunities to train as a Practice Player with one of our many teams. Find out more by contacting us! Are you looking help with specific skills? 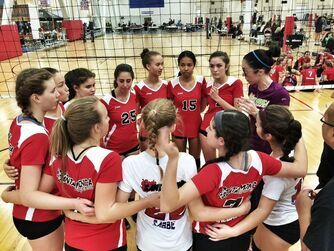 Santa Monica Volleyball Club offers some of the best position coaches in southern California! Passing, attacking, defense, setting, what ever you need help with, we have the coaching that can take your skills to the next level. ​Registration is now open for our 2019 Jr. Adidas Select program! 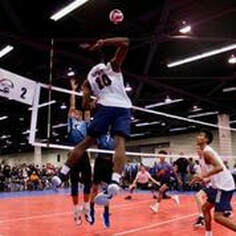 Designed to introduce new players (ages 9 - 11) to the sport of volleyball. Jr. Adidas Select meets twice a week for volleyball training. The program participates in a limited five tournament schedule during 2019. No tryout required to join!